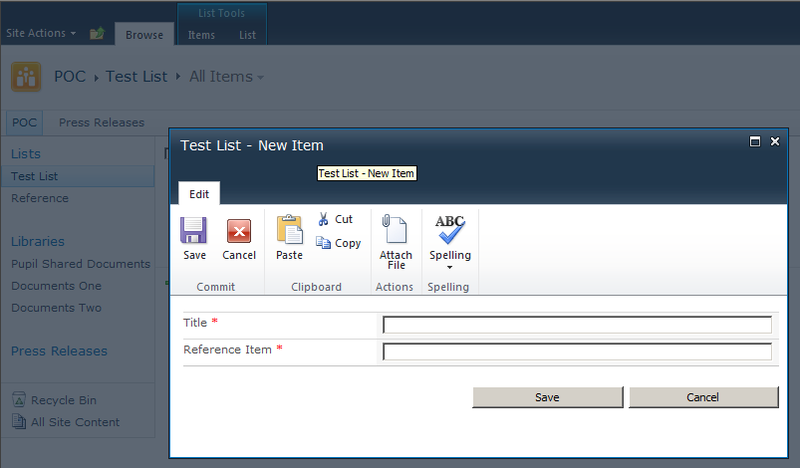 In this post, somewhat inspired by @BinaryJam‘s series on list form customisation using SharePoint designer, we will create a new (New Item) list form and update an existing Edit form programmatically, and add the SPServices autocomplete feature to both forms of an existing list. 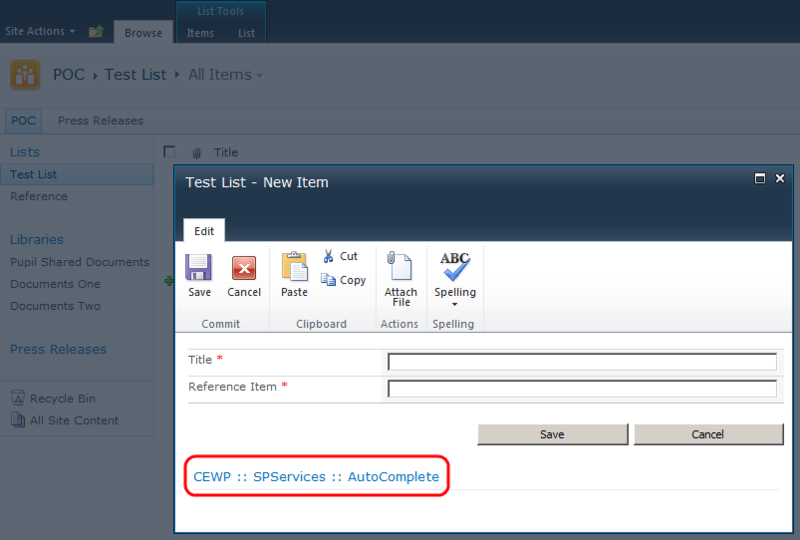 The SPServices autocomplete will be attached to a list column which looks up against an existing list in the site, and this post assumes that jQuery and SPServices are already deployed to the farm. 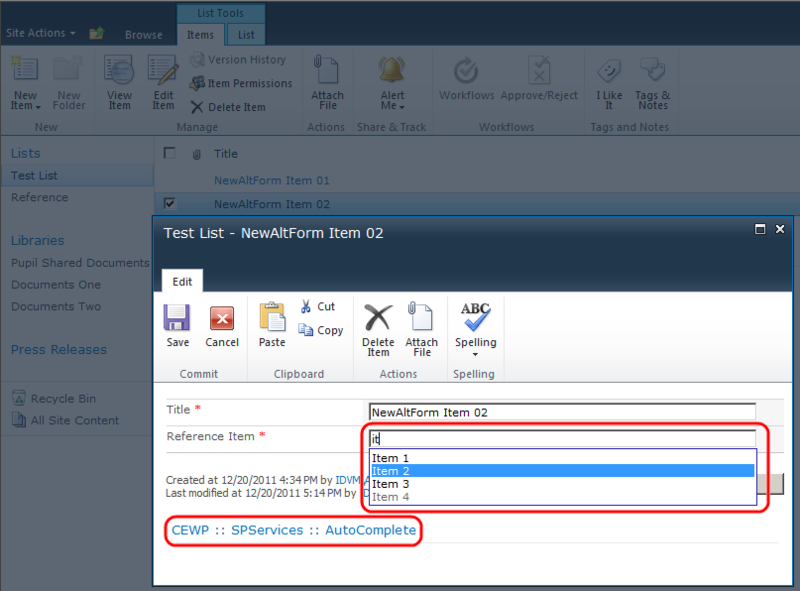 The next piece of code creates a Content Editor webpart instance with a script block to introduce the autocomplete feature, this webpart is then added to the new (New Item) form. For more interesting results you might provide a custom rendering template or replace the ListFormWebPart with a DataViewWebPart coupled with some snazzy XSL, or even something completely custom, the possibilities, as they say, are endless. Great post I will be trying it out myself! 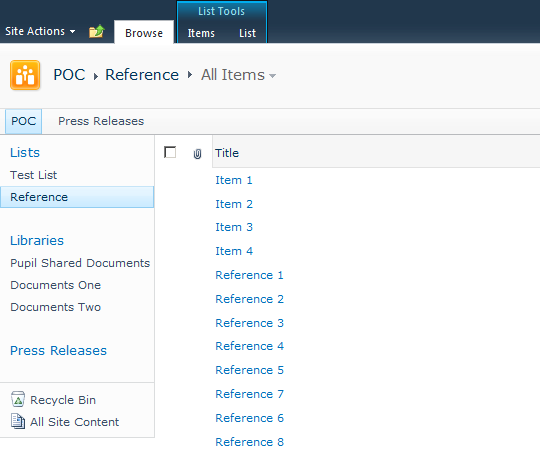 Instead I’m going to have it use a custom web part i have for creating the list item. I go through you article, its very nice. I want to do some changes in “Save” button logic. like I want to send email etc. 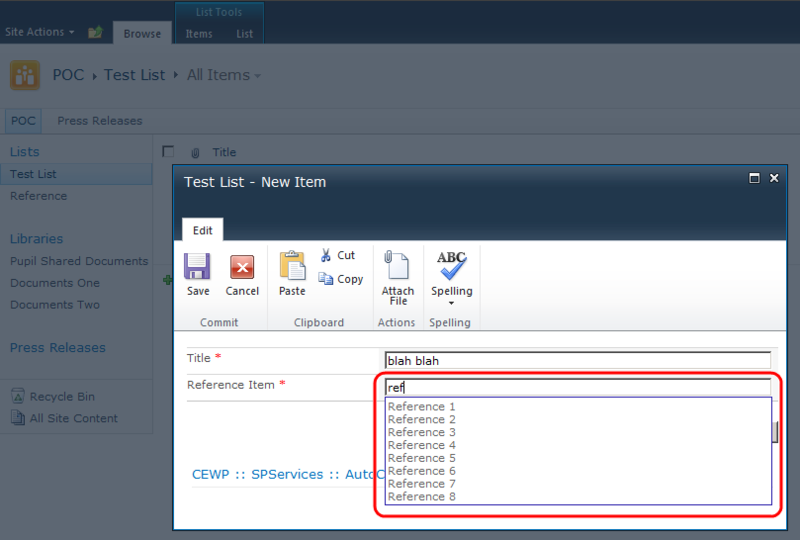 Have you thought about using a List Event Receiver or a Workflow attached to the list? I want to create a code for publish an InfoPath form in form library on sharepoint site so please help me for this that i found the method for upload but i want a code for publish. How can I do this with Client Object Model? Thank you Phil Harding!!! That was pure enlightenment! !